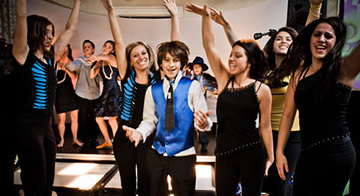 Our Interactive dancers are experienced in interacting and motivating the crowd and teaching them lively routines and participate in special activities, keeping the spot light on the guest of honor, etc.. 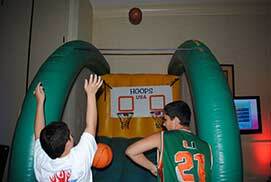 This basketball game can be played 2 on 2. It can be set up inside or outside. 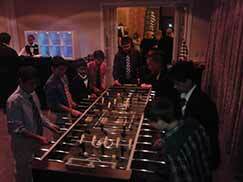 It is a bigger than normal fooseball table that can be played up to 8 players. Become your own quarterback and throw the balls threw the hole to score a touchdown! 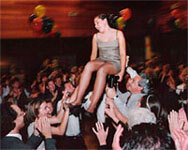 An interactive 4 player game. This lets you become a contestant like on family feud. 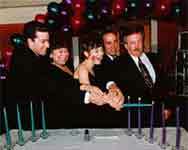 We send you a questionnaire about your child and it becomes about your child. Or we can supply trivia questions. This is a Wii game that comes with a TV. DDR gives you the arcade experience with an actual metal pad to dance on. 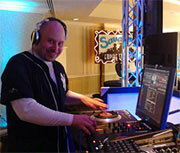 This is a larger than life candy station made with powered sugar, some sweet and some sour. Includes a Large 55" LED TV Display on a Light Up Truss, delivery, set up, and pick up after the event is included in this price. 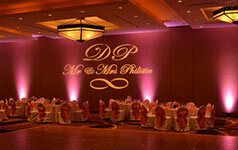 These beautiful Monograms add personalization to any event, template creation is included in this price, all we need from you is the text and text type, and Idea you want to create, and we will make it happen. 16' X 16' L.E.D. 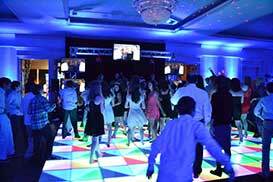 Digital Illuminated computer controlled Dance floor: $1495.00 / 4 Hrs. 16' X 16' L.E.D. 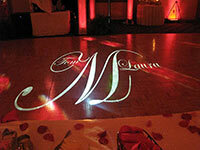 Digital Illuminated Computer controlled Dance floor: $1495.00 / 4 Hrs. 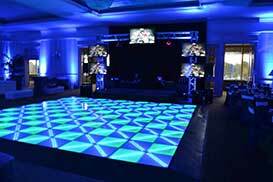 This beautiful 16'x16' LED Digital Light Up dance floor adds energy to any event, it is Computer Controlled For color And pattern, as well as the ability to have the lights dance to the beat of your music. 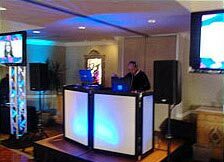 This price includes full service rental with 2 Lighting programmers on duty to personalize the dance floor light show to the event theme colors etc., and includes delivery, set up, break down and pick up after the event.